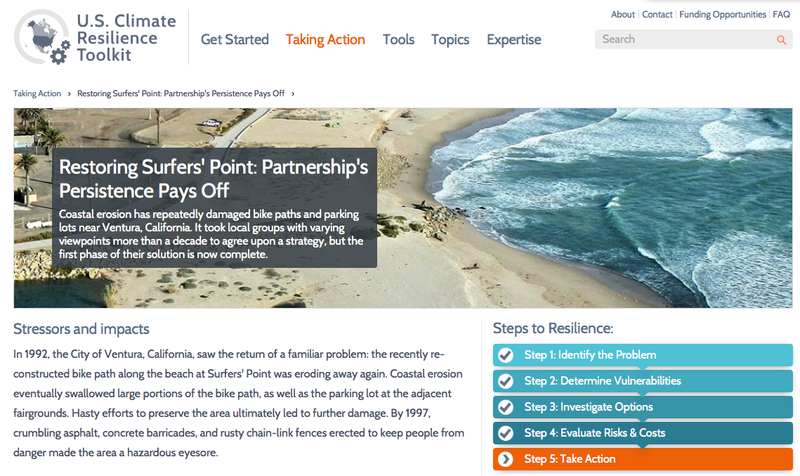 The Surfers Point Managed Shoreline Retreat project is featured as a nationwide case study in a website outlining ways that individuals, businesses, and communities can respond to the challenges of our changing climate. In response to the President’s Climate Action Plan and Executive Order to help the nation prepare for climate-related changes and impacts, U.S. federal government agencies, led by the Office of Science and Technology Policy and the Council on Environmental Quality, gathered resources that can help people take action to build their climate resilience. The impacts of climate change—including higher temperatures, heavier downpours, more frequent and intense droughts, wildfires, and floods, and sea level rise—are affecting communities, businesses, and natural resources across the nation. 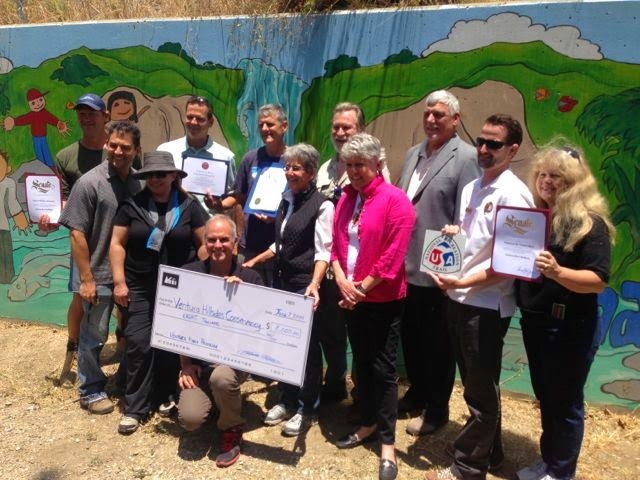 The Ventura River Parkway Trail is now designated as a National Recreation Trail ! The Ventura River Parkway Trail was dedicated on June 7, 2014 as a National Recreation Trail! Our national, state and local representatives were on hand for the dedication ceremony. Certificates recognizing our National Recreation Trail status were presented to the City of Ventura and County of Ventura from the National Park Service. Big THANK YOUs to Julia Brownley, Hannah-Beth Jackson, Das Williams, Brian Brennan, Ron Van Dyke and Carl Morehouse for their assistance and support in achieving this milestone as well as to many others who supported Friends’ efforts to make this dream a reality. Special recognition and thanks to Mark Capelli for his tireless efforts on behalf of the Ventura River. Additional appreciation to Patrick Johnston for his invaluable work in creating our Ventura RIver Parkway map. Hats off to the Ventura Hillsides Conservancy for organizing the event at their beautiful Big Rock Preserve.